Like other clinical departments at UConn Health, the Department of Psychiatry began its clinical operations as part of the McCook Hospital, the public hospital serving the poorest citizens in the city of Hartford. The promise of new clinical facilities being built on a steep rise in Farmington encouraged some serious recruitment to the medical school. In psychiatry, Dr. James R. Stabenau, a distinguished clinical investigator from the National Institute of Mental Health (NIMH), brought his vision for a center for schizophrenia research, as he took the reins as the department’s founding chair in 1969, a position he held until 1974. During that time, Dr. Stabenau helped transition the department to its present location in John Dempsey Hospital and recruited Dr. Robert Cancro, a noted schizophrenia researcher. He remained a faculty member for several more years, serving until 1992 as director of research for the department. Dr. Stabenau was succeeded on an interim basis (1974-1977) by Dr. Benjamin Weisel, who had previously served as chief of psychiatry at Hartford Hospital for many years. Dr. Weisel opened a second inpatient service dedicated to alcoholism treatment on the third floor of the John Dempsey Hospital. Through philanthropic donations, Dr. Weisel was also able to build a Day Treatment House (the Green House) on the grounds of UConn Health. During this time, the stature of the department grew as it became known for excellent clinical care and research. In 1975, Dr. Weisel created the Division of Child Psychiatry and appointed Dr. Paul Graffagnino as its first director. Initially, the Division’s clinical efforts were based at the Institute of Living in Hartford, but soon, the Division supported a full time child psychiatrist and part-time social worker in establishing a small outpatient service and a consultation/liaison service on the pediatric ward at the University of Connecticut Hospital. This service was staffed at various times by Drs. Graffagnino, Anthony Denaro, Timothy Rivinus, Nathan Szajnberg, Joseph Palombi and Roy Muir. The Child Psychiatry Division also participated in the educational mission of the department, teaching medical students and training general psychiatry residents. This key clinical and educational connection between UConn and the Institute of Living continued through about 1985. In 1977, UConn Health recruited Dr. Roger Meyer from Harvard Medical School and McLean Hospital, where Dr. Meyer had been directing a National Institute on Drug Abuse-funded research center in biobehavioral studies of opiate addiction. The following year, Dr. Meyer and colleagues UConn including Dr. Thomas Babor were awarded a Center grant from the National Institute on Alcohol Abuse and Alcoholism (NIAAA). This grant, currently under the direction of Dr. Victor Hesselbrock, is now in year 36 of its funding, a testament to its ongoing ability to foster cutting edge research on the etiology and treatment of alcoholism. The Center grant also enabled UConn to recruit Drs. Victor and Michie Hesselbrock from Washington University in St. Louis in 1978. In 1980, under the direction of Drs. Bernard Glueck and Victor Hesselbrock, a postdoctoral program in alcohol studies was developed that helped build the foundation for the future. 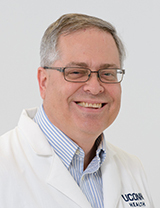 That program has been continuously funded by the National Institutes of Health’s (NIH’s) National Research Service Award and is now under the direction of Dr. Lance Bauer. 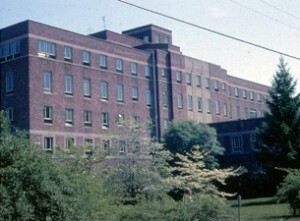 In the early 1980s, the Department strengthened its ties with the Newington Veterans Administration Hospital to build an affiliated clinical, research and training program. Through this collaboration, the Department was able to recruit key faculty, including Drs. Jerome Jaffe, Ovide Pomerleau, Alexander Nies and Dominic Ciraulo. These timely recruitments enabled the Alcohol Center to be renewed in 1982. Overall, in spite of periodic fiscal and programmatic crises at UConn Health and at the VA, the Alcohol Center thrived. In 1982, we were finally joined by Dr. Thomas Babor who left Harvard to help Dr. Meyer establish the Alcohol Research Center. The Center fulfilled a vision that Dr. Meyer had for an academic psychiatry department grounded in research relevant to one or more psychiatric disorders: neurobiology including animal models; behavioral psychology; biobehavioral studies with human subjects; genetics; epidemiology; clinical outcome studies that include the identification of clinically relevant patient subtypes; and the development of more effective pharmacotherapy and psychotherapies. In the late 1980s, the Center played a leadership role in directing the largest NIH funded comparative study of psychotherapies – Project MATCH, as well as providing the data that led to the approval of naltrexone in the treatment of alcoholism. Simultaneously, the Center was also a major contributor to and leader of the Collaborative Study on the Genetics of Alcoholism (COGA), the largest NIH-funded family study of the genetic vulnerability for alcoholism. COGA continues and has now identified more than 30 genes that contribute to the susceptibility for alcohol dependence and related psychiatric conditions. In 1993, Dr. Meyer went on to lead another academic medical center, but the Alcohol Research Center has continued to prosper under the leadership of Dr. Hesselbrock. Along with the alcohol center, the department grew and prospered. Several faculty chose to pursue psychoanalytic training to enhance their skills as clinicians and teachers. New research faculty were recruited into the department and the Center. Among these were Dr. Michael Stone, who built a research program on borderline personality disorders, and Dr. Henry Kranzler, who developed novel approaches to pharmacotherapy of alcoholism. Key clinical leaders were also recruited, making significant contributions to the inpatient service (Dr. Alan Tasman), the outpatient service and the residency (Dr. David Goldberg), community psychiatry (Dr. Jim Bozzuto), consultation/liaison (Dr. Mahlon Hale) and the Partial Hospital and family therapy programs (Dr. Stuart Sugarman). In the late 1980s, the Department of Psychiatry and the Institute of Living agreed to merge their residency training programs and to collaborate in the development of new initiatives in child psychiatry and in other areas of psychiatric research. Although the combined residency flourished for over a decade, currently each institution has its own residency training program, but they continue to maintain close educational and research ties. From 1993 to 1994 the department was led by Dr. Javier Escobar. Dr. Escobar was recruited to the Newington VAMC from UCLA where he was site co-director of the NIMH Epidemiological Catchment Area (ECA) study to determine the population prevalence of psychiatric disorders in the U.S. In his short tenure, Dr. Escobar enhanced the department’s efforts to recruit minority students, residents and faculty. Dr. Escobar was succeeded by Dr. Thomas Babor who served as interim chairman from 1994 to 1998. During this time, the department developed strong relationships with the state’s Department of Mental Health and Addiction Services (DMHAS) and with the Department of Corrections, providing additional valuable educational and research opportunities. Several new members of the department were jointly recruited by the department and these state agencies, increasing and diversifying the clinical and research expertise of the faculty. In addition, the Alcohol Research Center attracted key collaborators across UConn Health, including Drs. Ronald Kadden, Nancy Petry and Howard Tennen. In 1998, Dr. Leighton Huey moved from Dartmouth to assume the chair of Psychiatry, a position he held until 2010. During this decade, the department developed a particular focus on public sector psychiatry, with a clear clinical mission to serve underserved patients with mental health and substance use needs. The clinical, educational and training programs were totally revamped under Dr. Huey’s leadership, resulting in improvement in the resident applicant pool and more medical students choosing to enter psychiatry as a specialty. The research requirement established for the residency was cited by the Institute of Medicine as an example of how such a requirement could be meaningfully integrated into psychiatric resident training. During his tenure, Dr. Huey opened the Medical Psychiatry Inpatient Program, an acute unit designed for individuals with geropsychiatric and neuropsychiatric problems. Important research hires included Drs. Josephine Hawke and Helen Wu. In addition, through a remarkable philanthropic gift, Dr. Huey was able to re-establish a Child and Adolescent Psychiatry division and recruited Dr. Daniel Connor from the University of Massachusetts. Under Dr. Connor’s leadership, the division has grown considerably in the number of faculty and the clinical services provided. A new Child and Adolescent Psychiatry Fellowship Program was established, and the Division saw an expansion of its research portfolio, focusing on pediatric psychopharmacology. With the recruitment of Dr. Margaret Briggs-Gowan from Yale, the Division developed an innovative research program in pre-school psychopathology. The appointment of Dr. Geraldine Pearson, an advanced practice registered nurse, as associate training director, brought a new clinical and teaching perspective to the Child Program. The recruitment of Dr. Julian Ford in 1998 led to the development of important nationally and internationally recognized research and training programs on trauma. 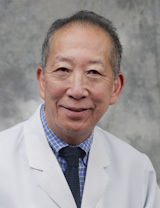 The additional recruitment in 1998 of Dr. Andrew Winokur, a nationally known leader in the treatment of depression and anxiety disorders, added considerable depth in psychopharmacology in both the clinic and classroom. Over the past decade, Dr. Winokur has also been able to develop a meaningful clinical trials program on affective disorders in conjunction with the Institute of Living. With the arrival of Dr. Jonathan Covault in 1997 the department added a unique basic science focus in the genetics of alcoholism and other psychiatric disorders. Educational and research leaders joining the faculty included Drs. Catherine Lewis and Jayesh Kamath, while Dr. Ted Lawlor took on a key role as clinical service chief. 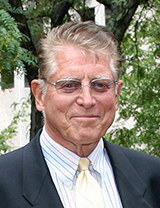 Dr. Victor Hesselbrock served as interim chairman from 2010 to 2012. During this time, new relationships were forged with St. Francis Hospital and the Hartford Dispensary to provide additional training sites for addiction psychiatry, and with Connecticut Court Support Services regarding clinical services and additional training opportunities with children. Also, relationships were renewed with Hartford Behavioral Health, Community Health Services and DMHAS to facilitate public sector training in psychiatry. Importantly, five new faculty members were recruited, adding additional clinical expertise in psychotherapy (Dr. Jessica Meyer), psychosomatic medicine (Dr. Diana Paez), child psychiatry (Marian Moca), and inpatient psychiatry (Drs. Debra Forrest and Naila Azhar). These recruitments added important strengths to the clinical and educational missions of the department and increased the presence of the department into other areas of the hospital. 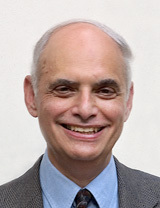 With the arrival of Dr. David Steffens, a geriatric psychiatrist from Duke University, as chairman in July 2012, the department undertook a strategic planning review of its current missions and developed a blueprint for the future, with plans focusing on key clinical areas such as mood disorders, attentional disorders, obesity and substance abuse. Our Mood and Anxiety Disorders Clinic, staffed by six faculty, opened in 2014 under the direction of Dr. Kamath. Educational expansion will include development of a geriatric psychiatry training program. New research will include clinical trials, translational neuroscience and childhood anxiety and trauma. Key clinical faculty have been hired in the emergency department (Dr. Philip Blumenshine), the inpatient and ECT services, our Intensive Outpatient Program (Dr. Srinath Gopinath), general and addiction psychology (Dr. Cassandra Holinka), child psychology (Drs. Damion Grasso, Carolyn Greene and Rocío Chang), child psychiatry (Dr. Asima Zehgeer), neuropsychology (Drs. Kevin Manning and Beth Springate), and geriatric psychiatry (Drs. Kristina Zdanys, Neha Jain, and Sarah Nguyen). In 2016, Drs. Grasso, Greene, and Manning were each awarded a prestigious Patterson Career Development Awards in Clinical Research. Research faculty who have recently joined the department are Dr. Golda Ginsburg, a child psychologist focusing on school-based mental health interventions recruited from Johns Hopkins, Dr. Lihong Wang, a functional neuroimaging research from Duke University and Tsinghua University in Beijing, and Dr. Glenn Konopaske from Harvard (McLean Hospital), a basic/translational researcher in schizophrenia and bipolar disorder. In addition, we have recruited new faculty from within our ranks, including Dr. Jeffrey Pella, a former postdoctoral child psychology research fellow, and Dr. Shirin Schilling, our former inpatient psychiatry chief resident. We have also made significant changes to our educational leadership, with the appointment of Dr. Surita Rao as training director of the Adult Psychiatry Residency Program. As a state-supported academic department, UConn Psychiatry has had a very distinguished history, both as a research center and as an incubator for leadership. Six distinguished faculty have gone on to serve as chairs of academic departments. Two faculty, Drs. Alan Tasman and Michelle Riba, have gone on to become presidents of the American Psychiatric Association, while Dr. Victor Hesselbrock served as president of the Research Society on Alcoholism and was an initial member of the NIH’s Council of Councils. 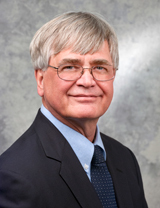 Dr. Steffens is past president of the American Association for Geriatric Psychiatry. With this proud history in mind, we are quite optimistic about the future of UConn Psychiatry. Some very good changes are coming. Already underway and continuing over the next five years, the campus will see the construction of several new buildings and the renovation of older buildings as a result of the state’s Bioscience Connecticut program. In 2014, we saw the completion of the Jackson Laboratory’s new Genomic Medicine research facility. UConn/Jackson Lab faculty will address issues of personalized medicine in several areas of medicine, including mental illness and the addictions. In 2015, UConn Health opened the Outpatient Pavilion, where psychiatry faculty and trainees work in multidisciplinary primary care, geriatrics, and medical specialty teams. We saw the openings for a second inpatient bed tower for UConn John Dempsey Hospital and a new UConn School of Medicine educational building in 2016. These changes in the campus and the school will allow our department to continue to deliver cutting-edge treatments to our patients, to provide high-quality education to our students, and to be innovative in our research programs as we go forward.